We don’t owe teachers’ salaries—FCT UBEB – Royal Times of Nigeria. The Federal Capital Territory Universal Basic Education Board (FCT-UBEB) is up to date in the payment of teachers’ salaries, its Executive Director, Dr Adamu Noma, has said. 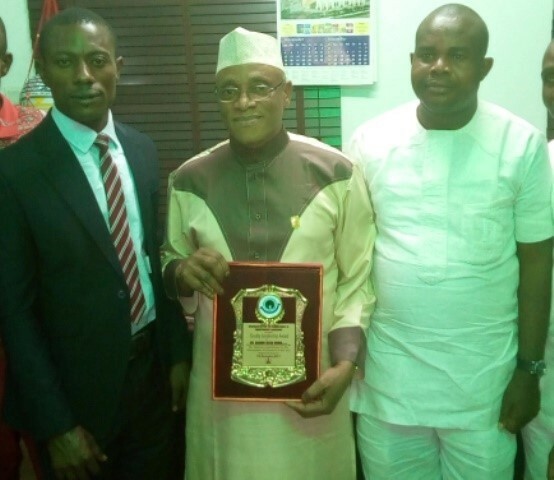 Receiving the “Quality Leadership Award” from the Organisation for Enhancement of Transparent Leadership (OETL), an NGO, on Thursday in Abuja, Noma said that the Board had become a role model for other states. “Presently, we have over 1,000 schools and over 16, 000 teaching and non-teaching staff. “It is only in FCT that teachers are not owed salaries and allowances,” the executive director said. According to him, FCT-UBEB provides instructional materials for both teachers and pupils and foster cordial relationship with host communities. “The board’s mandate is to provide quality basic education, which include Early Child Care, Primary, Junior Secondary and Nomadic Education, to the teeming school age population in the FCT. Noma said that aside providing free education, it must be accessible, affordable, and qualitative. He expressed delight for being chosen for the award and promised not to betray the confidence reposed in him. Earlier, Mr Christian Nwachukwu, OETL Executive Director, said that the organisation made in-depth study of profile of the awardee before choosing to honour him. He said the award was based on merit and in recognition of hard work, adding that it was meant to spur the UBEB boss for more work. In his remark, OETL Publicity Secretary, Godwin Eneji, said that the award was aimed at promoting excellence, probity, accountability and integrity in public service.